I like to think of myself as quite a funny person. I’m not sure if I’m so funny because I’m making up for the fact that I’m so much fat(ter) than everyone else, but I have such a great sense of humor that it’s actually sick (not like vomit comet sick, but like fun amazing sick). 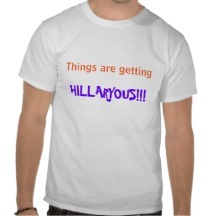 I’m so funny in fact that Katelynn Fondly named me Hillary-ous. It stuck for a while, until it started to sound like a disease. I’ve made it a personal life goal to make everyone around me laugh. Lately, it’s been quite easy, but before I was just a clown. My mom always hated when I would laugh like a hyena. She told me that because my presence was so large that everyone around would notice me first and I would always make strange noises and a spectacle of myself. My mom would never let me laugh, it was so mean. I snorted, so that made me look like a pig, my whole body would jiggle when I found something really funny, and then when I laughed it sounded like a dying horse was have a seizure in my mouth. Actually now that I remember all of that, no wonder she didn’t want any attention on my hideous laughing fits. My biological father says that I got his sense of humor. However, he doesn’t know me at all, and I haven’t learned a thing from him, so I think I just got it on my own, or learned it on YouTube. Maybe that’s why I’ve never really liked alcohol. People drink to have a good time and to act like baboons, but I have a great time on my own just sipping on good ol’ diet Pepsi. Not liking alcohol has given me a lot more money to spend on food in the past. Maybe drinking would have been a good hobby for me instead of all you can eat Chinese?